#FrequentFlyers: In-Flight Beauty Essentials You Absolutely Need To Stash In Your Carry On! 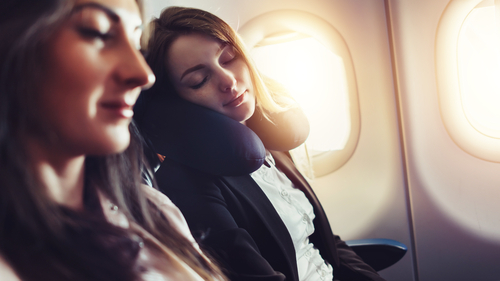 If you've ever travelled on a long haul flight before you know the havoc it can wreak on your skin and hair. 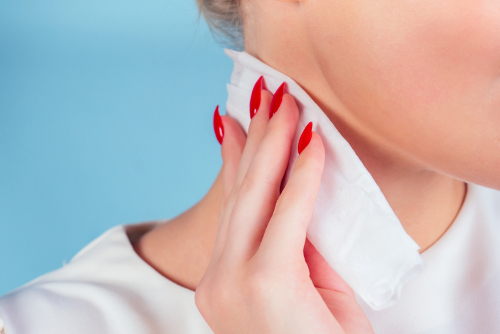 The dry air in the cabin tends to take a toll on your skin making it look dry, dull and pretty lacklustre. I always get off a flight with dull skin and dry, sticky hair. And then there are some women who look like glossy dumplings even after a 22-hour journey across the Atlantic! On one such recent flight, I spoke to a couple of these women to understand the secret to their glossy skin and bubbly eyes. 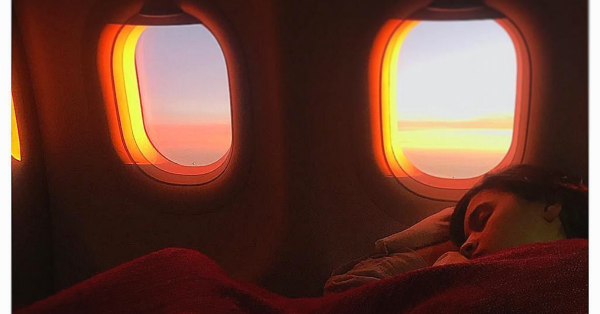 Here's a list of every in-flight beauty essential you are ever going to need! This one's probably a no-brainer. But it's very important to keep your body hydrated during a long flight. Pick up a huge bottle of water at the airport - it's cheaper and honestly more hygienic than the water they serve you on the flight. Keep sipping a little water every hour to avoid feeling bloated after the flight. For your skin and hair, I'd honestly recommend you skip the matte foundation. If you're taking a long flight, I highly recommend you buy some overnight masks for the lip and face. I know if you put on a sheet mask mid-flight you're going to end up scaring more than a few babies. While I highly recommend that, (haha!) a gel-based overnight moisturiser is easier to use. Keep your lip balm or just a trusty tub of Vvaseline with you for your lips and cuticles. Try the Innisfree Capsule Recipe Pack - Rice (Rs 150). It's small and easy and perfect to throw into your travel bag. And rice helps brighten your skin so it's ideal for in-flight travel. Whether you're wearing makeup or not, these wipes are pretty darn handy to refresh yourself mid-flight too. Toss some into your bag and you can use them for so much more than just makeup removal. And if you do wear makeup, you can take your makeup off before you get some shut-eye and slather on the overnight mask. If you're a really light sleeper and have difficulty sleeping a sleep spray is definitely a good investment. It's a soothing, calming mist that puts you right to sleep. After buying one recently, I can't believe I've ever lived without one of these babies. Dry, red itchy eyes upon landing. Hydrating eye drops are all you need to touch down looking bright eyed and bushy tailed. Just put in a drop or two whenever your eyes start to feel itchy and dry. Contact lens wearers will tell you how essential these are. I'm an irritable sleeper and an eye mask is my absolute must-have travel essential. Even a neck pillow really helps. Find one that's more effective than it is cute. A good eye mask is soft on the skin and blocks all the light out helping knock you into a restful slumber even if you're under bright sunlight. Try this 3D Solid Sleeping Eye Mask (Rs 180). It hugs the contours of your face and nose and blocks out most outside light. Aeroplanes have more bacteria than you can ever imagine. Not going to get into details but all I'd say is that before sinking your face onto that tray table, I highly recommend you sanitize it first. Put a dollop of sanitizer on a tissue and wipe your seat, tray table and armrest. Your trusty Dettol Hand Sanitizer (Rs 75) is perfect. I personally hate washing my face on the flight. I've seen far too many documentaries talking about the number of bacteria present in flight water. 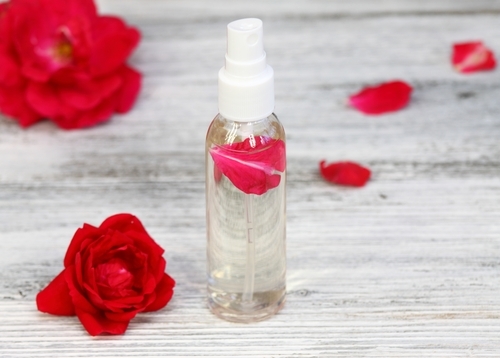 A skin mist is a great way to wash your face without using the dirty flight water. It's also a great way to hydrate and refresh your skin! The Kama Ayurveda Pure Rosewater (Rs 250) is my favourite because of the soothing fragrance, but any rosewater works. The Dr. Sheth's On The Go Cleansing Spray (Rs 549) is actually a spray face cleanser that doesn't need to be rinsed out! You're going to want to bookmark this story before you get on your next flight! Looking for more travel essentials? Check out this post!